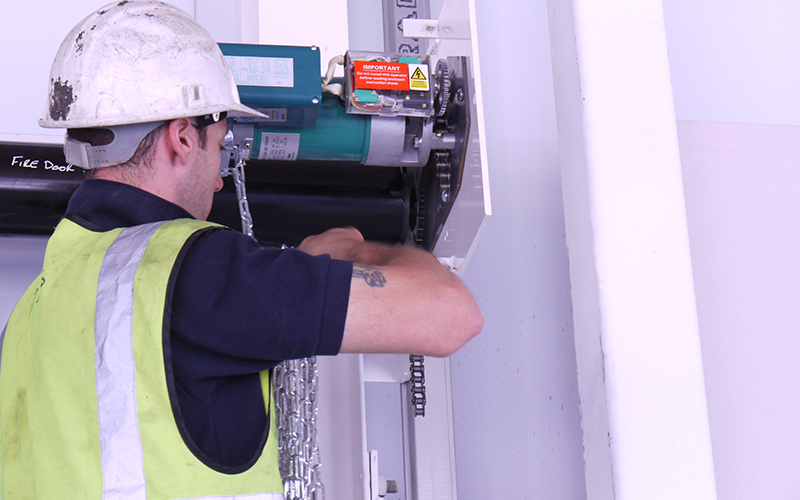 In recent years’ fire protection has become the norm in a workplace. In 2015/16, there were 303 fire related fatalities in this country and 7,661 casualties in fires. 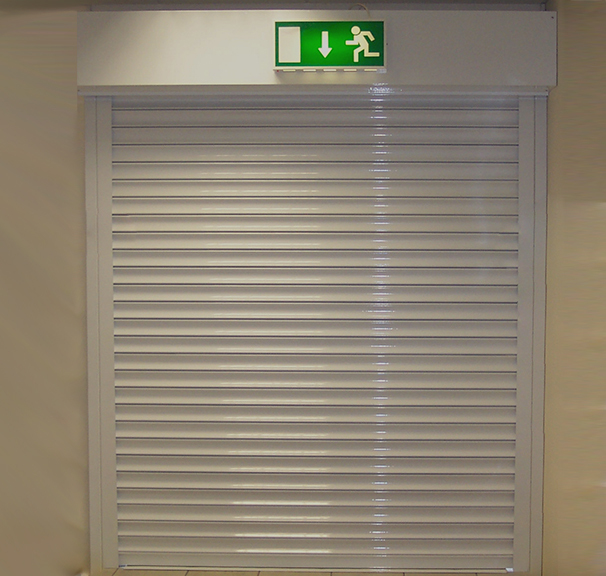 RCS’ fire door complies to strict health and safety legislation and is certified and tested to act as a barrier for up to four hours. It is tested to a maximum clear opening size of 7 x 7m or 50m2. 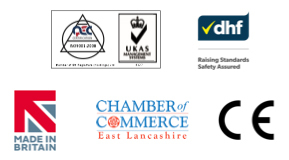 If you want to find out more about testing and accreditations get in touch today. All fire doors can be equipped with an audio-visual warning panel (AVFDI), which alerts persons in proximity on receipt of a fire alarm, or mains failure. After a delay (customisable), the door will close. In addition, you can install an audio-visual repeater/slave panel too, which mimics an AVFDI, to sound caution from both sides of the door. The Fc1 is made using 50mm flat or 76mm concave lath. 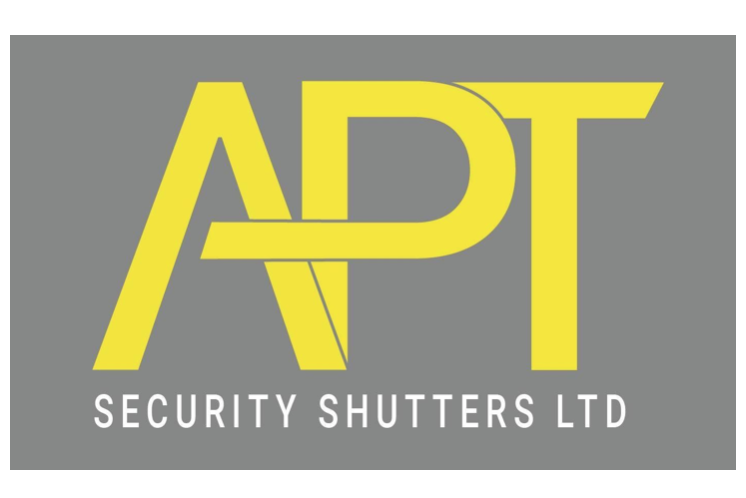 It acts as a barrier against fire, adds security and has an unobtrusive appearance, making it the ideal solution for most workplace premises including hospitals, restaurants and schools. 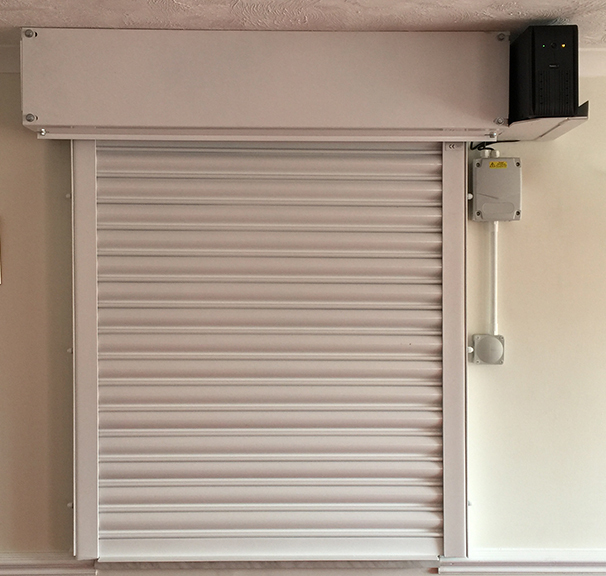 The Fc1 is driven by a single phase tube motor; which reflects a more economical door but limits usage to 2–4 times per day. It must be installed with a battery back-up (UPS) in case of power failure or electrical fire, and either a basic FDI panel or an AVFDI panel to connect to the alarm. Fc2 doors use inline motors meaning they can be both single and three phase. The Fc2 is constructed using 76mm concave lath. It has various operating options and can be activated by solenoid1 and fusible link2. An FCi has a host of features and benefits. It has a fire rating of up to four hours and a double skin curtain for increased security. FCi’s lath is 100mm and uses a flame retardant rock wool insert. It also uses inline motors meaning they can be both single and three phase. An FCi’s benefits go beyond fire safety and security; it minimises thermal transmittance and noise transfer, which add up to a healthier looking energy bill. It has various operating options and can be activated by solenoid1 and fusible link2. 1The solenoid is activated on receipt of a 24VDC signal from the building fire management system. A signal prompts this solenoid to release the disengagement plunger, which releases the motor break. 2Fusible links are temperature sensitive release mechanisms. 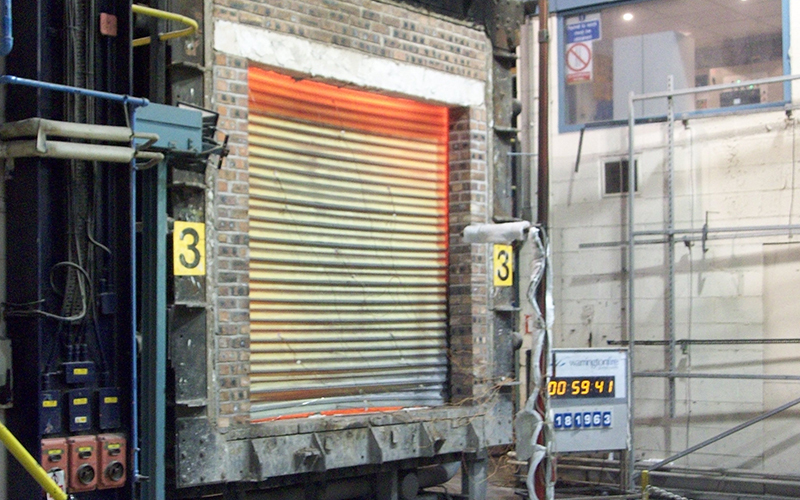 If the ambient temperature reaches the point where the eutectic alloy in the link melts, the door will release, restricting the spread of fire or smoke. The melting point of the alloy can be engineered to release at temperatures between 135F/57C and 500F/260C.